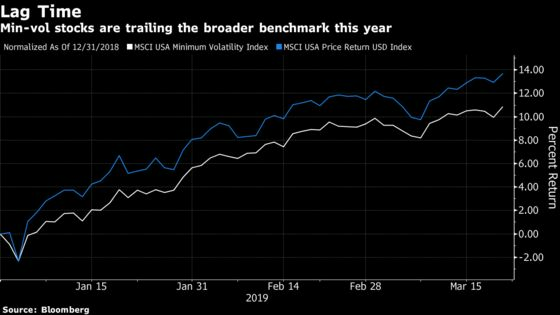 The MSCI USA Minimum Volatility Index is trailing the broad market benchmark by more than 2 percentage points since the start of January, among the worst showings for any factor tracked by Bernstein. 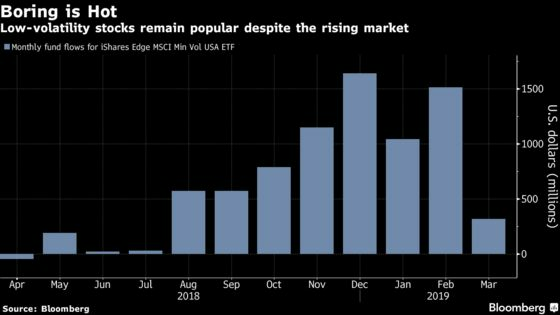 In a reversal from last year, hedge funds that are avoiding placid securities are outperforming quants. Still, last year was the perfect illustration of how low-vol can bail quants out. The factor bested momentum, growth, quality, value and cap-weighted benchmarks in the fourth quarter. Indeed, since 2000, the factor has beat the S&P 500 by a whopping 215 percentage points. 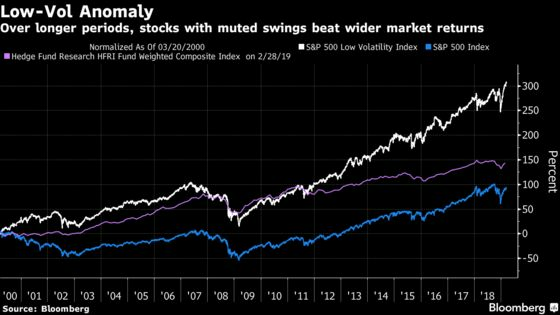 “Over a full cycle, the downside protection of low-volatility stocks has led to better risk-adjusted returns for low-volatility stocks, and this is exactly what we want to capitalize on,” said Robeco’s Jan Sytze Mosselaar, whose Robeco QI Global Conservative Equities fund is up 10 percent over the past year, beating 87 percent of peers.